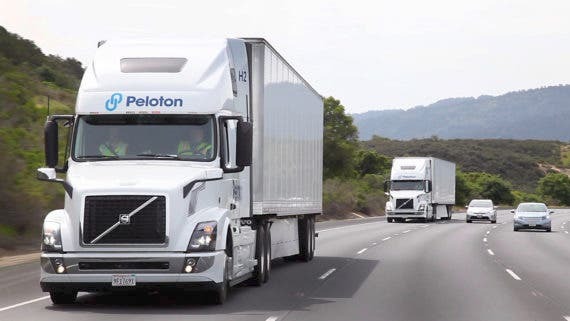 The semi truck platooning technology firm that we reported on recently, Peloton Technology, has successfully closed a $60 million Series B funding round, according to a recent press release. So, it was a pretty serious group of investors from the looks of it, most of which are involved intimately in the trucking sector in some fashion or other. Thanks to the new funding, Peloton is reportedly planning to accelerate projects with several OEMs, including Volvo Trucks North America. As it stands, Peloton is planning to begin trialling its platooning technology with a number of US-based Fortune 500 fleets within the next year or so.